Even though I love going to great places like Forequarter, Tornado Room and Heritage Tavern, some of my favorite places are those hole-in-the-wall, secret neighborhood places. 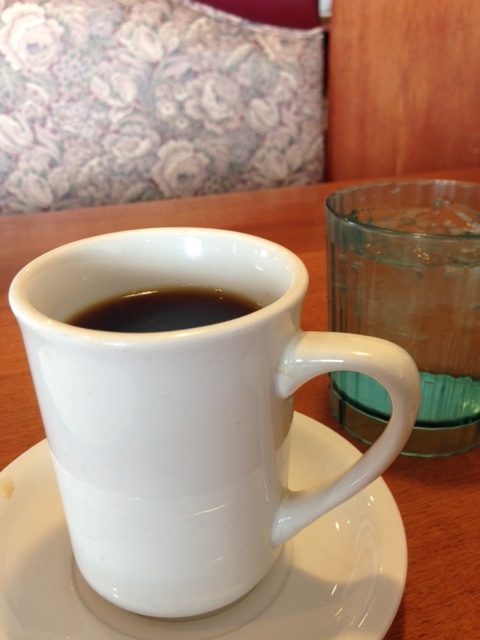 There’s something I love about diner coffee, dining rooms that haven’t been redecorated since the early 90s and the regulars chatting in the corner. 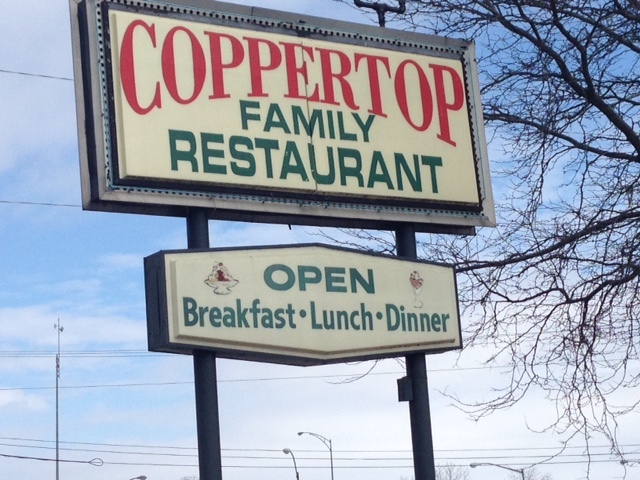 It’s an added bonus when the food is as good as it is a Coppertop Family Restaurant. Coppertop fits all of the qualifications of a quirky neighborhood spot – the regulars were chatting in the corner booth, the coffee was hot and fresh, and the dining room looks like a funeral parlor from the 90s (think floral patterns, mauve paint, a lot of vinyl, mirrors on the ceilings…). They serve standard breakfast options; sandwiches, salads and soups at lunch and they also have dinner entrees. Big bonus: they serve breakfast all day! Thanks to a suggestion from a friend familiar with Coppertop, I got the Wisconsin skillet, which has ham, green peppers, cheese, onions and mushrooms. It comes with two eggs done however you want, American fries (read: breakfast potatoes) and toast or pancakes. In my breakfast-eating experience, the ingredients in scrambles or skillets can come out one of two ways — mushy and only slightly cooked or crispy — and the latter is definitely preferable. Coppertop’s skillet definitely fit into that second category. 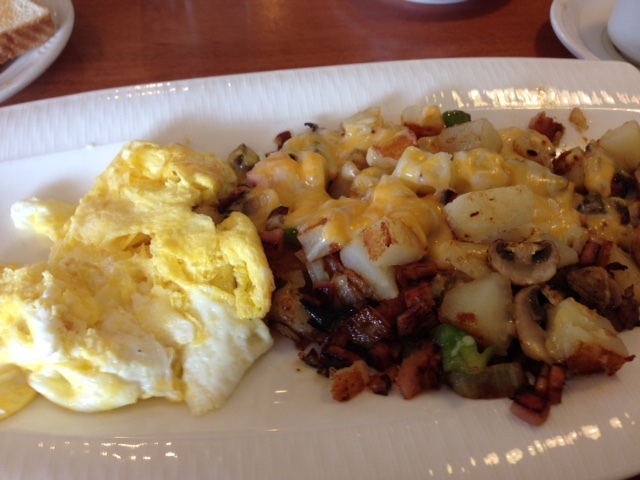 The ham, mushrooms and peppers were all crispy…not to mention the super crispy breakfast potatoes. I also loved the sprinkle of cheese on top. The surprising part of my breakfast was that it was barely greasy — grease is usually a staple on the plates of most neighborhood diners. FOOD NOTES: I was very happy with my breakfast for lunch, and with any place that serves breakfast all day…I will probably never try any of their lunch or dinner options. I love breakfast too much to pass it up if it’s an option! Some people might let the decor stop them from going back, but I think it’s endearing…it gives the place a towny, “we don’t take ourselves too seriously” feel. The view of the Beltline from the front windows is also pretty great!